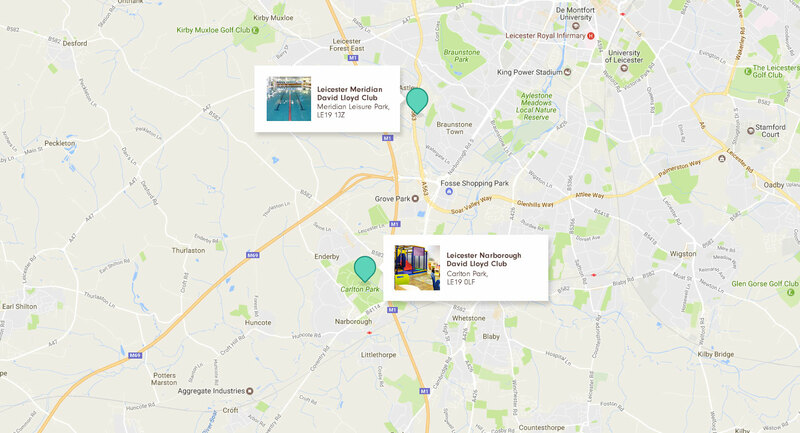 David Lloyd Clubs have two fantastic gyms in Leicester, one in the Meridian Leisure Park, the other located in Narborough, near Carlton Park. Our Leicester clubs boast impressive facilities including state-of-the-art gyms with the very latest equipment, spacious group exercise studios, heated swimming pools, luxurious spa facilities and much more. Racquets players will also not be disappointed at our Narborough club as it offers a selection of tennis, badminton and squash courts, both inside and out. Not only do our Leicester clubs have friendly, professional staff and comfortable, family-friendly facilities, they also offer a range of diverse classes and workshops, with something suitable for all ages. Wherever you live in Leicester, we’ve got you covered. Explore our clubs to find out which one is perfect for you and your family. At David Lloyd Leicester Meridian we offer a range of gym and club facilities for you to enjoy. At David Lloyd Leicester Narborough we pride ourselves on offering great gym and club facilities.